they all did a happy dance just to see her prancing through that door! They truly thought they were sending her home for her last days as they had exhausted what they could do medically at that time. 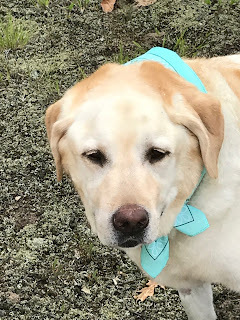 The labs show the pancreas to be back to almost normal levels but the liver counts are much more elevated and that is of course a concern but thinking if she conquered that "nastier than they've ever seen" pancreas then she will get over this hurdle as well. A few changes suggested to try with her diet and a supplement that will help the liver and if all goes well with no setbacks she goes back in a month for another check up. With the liver issue they are still advising that we don't reintroduce the meds for her autoimmune disease.... I will watch for issues or complications with that and we will take it as it comes. She is a content Girl now, happy and has comfort here at home.....for now I am so thankful for that. Thank you once again....from the bottoms of our hearts for being our Prayer Warriors for Sophie! We believe that's why she is home and happy! Her sister Ivy now out weighs her by 24 lbs......she is a big boned Girl! Actually she is just a big English Yellow with lots of muscle...and that's coming from the Doc!! Life on the Lane has been chaotic to say the least these past couple of weeks....we're ready for some normalcy, I'm just not sure what that might be though with me and my crew! 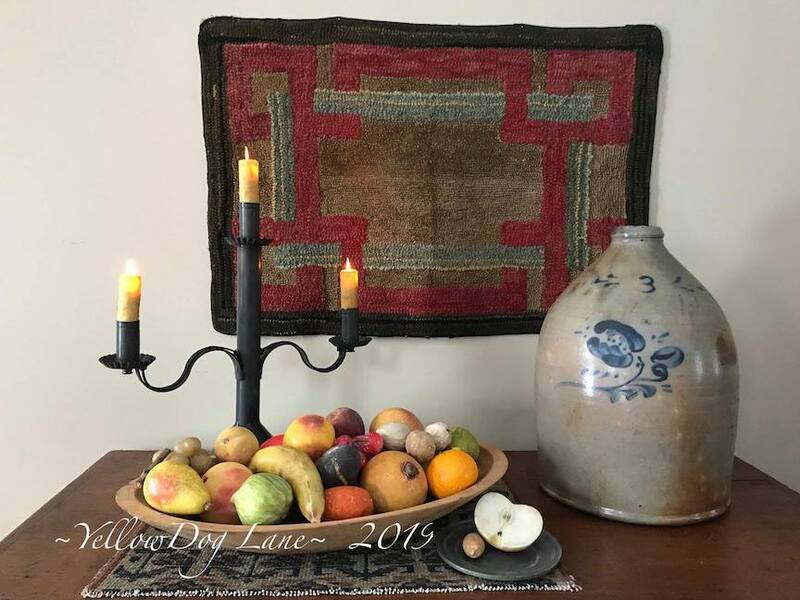 Folk Art Table Square project.....I am working on a myriad of things, ornaments, table mats, runners....wearables, yes, wearables and much more. Joining all of you in the happy dance!! 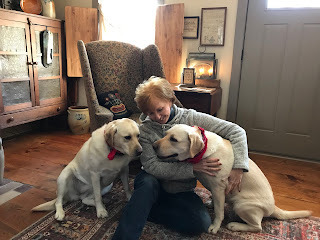 Prayers continuing for many tail-wagging days ahead! So happy to hear that your Sophie is hanging in there. She is such a Beautiful girl. I continue keeping her and you in my prayers.